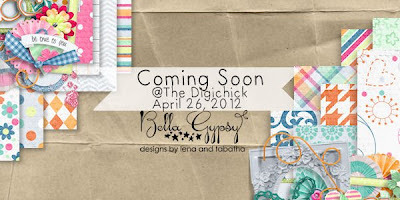 So, take a look at what's arriving at The Digi Chick tomorrow. 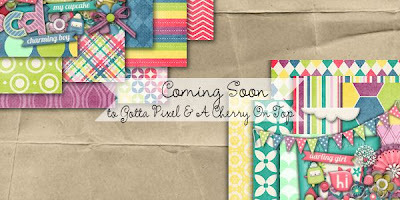 Then check Gotta Pixel and A Cherry On Top on Friday for these great kits. Trust me, you're gonna like it! For a chance to win one of these kits, please leave a comment below, along with your e-mail address, by 11:59 p.m. tomorrow night, Thursday, April 26. Please note the new deadline. I will post the winners (in the comments section) first thing Friday morning. Good luck! I'm in love with them all!! They all look fabulous!! Thanks for the chance to win!! Wow - 3 more this week and they all look gorgeous! You guys seem to be working non-stop lately! Looks great, looking forward to seeing the full kit! These all look great! Thanks for the chance! Thanks for the chance! Love the alpha. Love the color palettes. Thanks for the chance to win! They look good! Thanks for a chance! They all look amazing! THanks so much for the chance to win! Oh what fun...I don't know which time zone the deadline is in but I'm giving it a try. Love the designs! ** CLOSED** Today's lucky numbers are 5 and 1. Congrats! I will send your prizes soon.